The holiday season is the perfect time to reflect on our blessings and find ways to make life better for those around us. 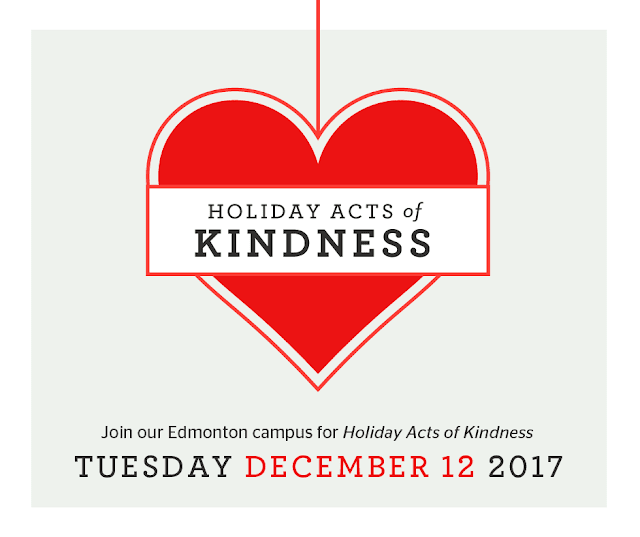 On Tuesday, December 12th, our students and staff from the Edmonton campus will be visiting long term care facilities to deliver a little holiday joy to the residents! We invite any graduates in the Edmonton area to join us! We are looking for knitters, crocheters, singers, holiday card writers and nail technicians to apply nail polish. We would also appreciate any donation of holiday cards to deliver to the residents. For more information, please contact our Edmonton campus to find out how you can get involved!